Gaming on a computer or device is a wildly popular pastime for kids in Australia. In fact, 94% of children between 6 and 15 play games and, while girls are fast gaining on them, gaming still remains more popular with boys (Source: Digital Australia 2012 report). It seems although (almost) everybody’s doing it, a lot of parents feel unsure about how to negotiate gaming in their households. School holidays certainly bring the issue to the fore, as many families resort to the digital babysitter and finding a balance between Minecraft and the rest of life can feel like a full-time job. 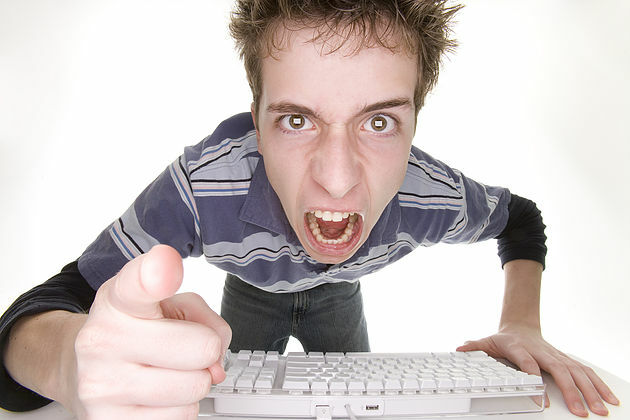 Boys can become very angry towards their parents when they have their gaming time limited. My sons behaved in similar ways around Nintendo when they were young, and they weren’t happy that I banned access until the weekend. I also monitored to keep them away from games that used senseless violence and other morally unsavoury activities like stealing, verbal abuse or destruction of property. Later they told me they would play these games at other people’s houses anyway, but at least at home they had a healthy balance. Boys tend to display a few characteristics that can lead them to being competitive, more physical, more impulsive and more prone to hunting dopamine – the fun, focused, engaged neuro-transmitter, the ‘feel good’ brain chemical. The reasons for this are varied but basically our boys are socialised into behaving this way and perhaps that’s because this expectation goes all the way back to a time when the male role was to protect and hunt for food. Genetics, hormones, brain development, cultural expectations, the way boys are treated compared to girls… each of these factors come into play. A research paper put together by the Young and Well CRC shows general differences in the types of games girls and boys choose: “Girls expressed a preference for puzzle, role play, and platform games, whereas boys preferred games which involved action such as racing games, sports games, and beat and shoot ‘em ups” (Colwell, 2007). Boys are potentially more at risk of becoming addicted to gaming because playing triggers that ‘competitive’ reward system in the brain by releasing ‘squirts’ of dopamine as they pit themselves against adversaries — something they seem generally driven to do, and something their game preferences reflect. I’ve written much about how children used to have more freedom to roam, to explore and play in the natural world with their bikes, skateboards, trees and games that were vigorous and exhausting. These activities gave them opportunities to discharge excess energy, build sensory capacities, physical strength, healthy risk-taking and, very importantly, it helped them build social and emotional skills to enable them to connect, make friendships and learn how to be a positive part of our world. The technology tsunami means 95% of Australian homes now have at least one device for gaming. Kids have almost endless opportunity to be engaged virtually. Gaming and other technology based activities that encourages the use of imagination, problem solving and the use of strategy is technically much like board games. There is research showing there are many benefits in adolescence of gaming however that is a very different stage of life to 8 and under. With gaming, it seems that it is less about what they are playing, than how they play and who they play with —research out of Queensland University of Technology has found that one of the most beneficial ways to play video games is together. Playing video games with your children may be beneficial for your relationships and it is also a great way of seeing what your children are playing and how they engage in these game worlds. Unfortunately for young children — particularly kids under 8 — while it might be fun and sometimes help kids learn valuable skills, the virtual world does not discharge excess energy, it does not build emotional and social skills in young children (although some game developers are working on this) or physical strength and fitness. Many experts including Michael Gurian, Celia Lashlie and Steve Biddulph argue that boys are more at risk of struggling in life because they are morally more vulnerable and they need more support, guidance and coaching to learn healthy ways of living in our modern world. So we need to be concerned not just about what they are doing in much of their spare time, as to what they are not doing that will help them grow into happy, healthy, strong, kind human beings. So to those parents who have asked – continue to be strong and continue to negotiate with your sons who are under 8 to ensure that 80% of your young boys’ activities are in the real world especially playing with real humans or pets so they can develop the protective factors of a healthy body, a caring heart, a strong love of play and healthy, loving relationships. Seek opportunities that create a love of the physical world, other cultures, good quality food, a love of adventure and a strong connection to their family and friends. Sometimes, enforcing balance might make you feel like you’re being a mean and loving mum or dad, but you are the guiding presence in your children’s lives. We monitor how many lollies and sweets our children eat, so we need to monitor how many hours they play in this exciting, entertaining world. Too much of a good thing is seldom good for us in the long run.